My friend, Meeghan, has a site that teaches children to read. There are free youtube videos and worksheets to explicitly teach reading. While most of the teaching materials on her site is free, she also has a membership site where you can find everything you need to teach reading. There are teachers manuals, fun worksheets, games and activities to go along with learning. Instead of having to search for a fun worksheet for a certain holiday, or certain skills,everything is in one place. The teachers manuals have word for word instructions, so there is no doubt that your child will learn. There are materials in the membership site to help children from preschool age through 1st or 2nd grade. If you were to complete her 120 program, your child would be reading at a second grade level. All of the games and practice worksheets she gives are for preschool through second grade reading levels. 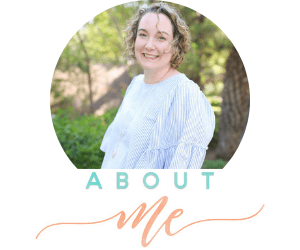 She adds new products to the membership site each week, so your lifetime membership gets you a crazy amount of help for teaching reading. Anyway, here is the story of how her site got started! I always tell people that it is easier than you think to teach reading. I personally would never have dreamed it were so easy, but, my mom showed me otherwise. Several years ago I wanted to help teach my daughter to read. My mother was a reading teacher for over thirty years, so I naturally asked her if she had any advice for me. I did not expect the answer I received. She told me she could help me and she went down into her basement and she pulled out several large boxes. I thought she was just pulling out materials she used in her classroom, but instead she pulled out an ENTIRE BEGINNING READING CURRICULUM she had written. After she retired she was bored and lonely and she decided she wanted to help reach more children learn to read… “the old fashioned way”. She typed everything on an early Macintosh computer and (thankfully) printed out everything. There were thousands of papers. I sorted through everything with her and, in the weeks that followed, I taught my daughter to read. 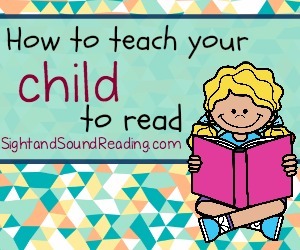 It was very easy, and my first child was always eager to read and practice. She felt confident and loved reading. (She still does love reading). I knew then that I had to reach more people online. I retyped and formatted everything and I looked for an illustrator, the only piece that was missing. This is how Mrs. Karle’s Sight and Sound Reading began. I have since taught 2 other children to read. My seven year old was a struggling reader. She struggled with phonics, and many times I wonder if she has dyslexia. The program is structured to give children confidence. A reader who is confident loves to read. (Struggling readers do not like to read and are not confident with reading). You can start the program using our phonics materials, or our Sight Word Reading Program. I usually suggest the sight word reading program because I believe it gives children confidence. This is how I helped my struggling reader. I suggest doing Days 1-15 or so using the sight word program and then introducing our Explicit Phonics Program where children sound out words and form sentences. Phonics is taught throughout the sight word program and added practice using our phonics materials gives the program a home-run easy and successful way of doing things. I also suggest that you can add in word ladders/word families to help your little one with fluency in phonics/reading. The program is great for struggling readers. The explicit, slow, repetitive instruction really gives added confidence to those who once struggled with reading. I feel the greatest joy when I receive letters from struggling readers who we have helped. I currently am teaching my five year old to read. While he loves to show he can read, some days he is a little rambunctious. On these days I add in some fun materials: color by letter/color by sight word worksheets, and other fun phonics worksheets. It has been nice because I make worksheets to help my children and then offer them to others too! Anyway, teaching reading is easier than you think. Let me know how I can help you and your child achieve success. 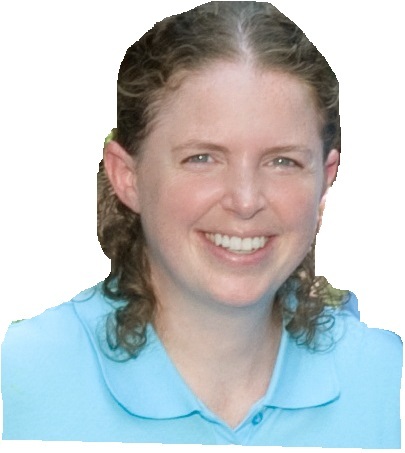 Meeghan (Karle) Mousaw has a Bachelor in Business Administration from the University of Notre Dame and a Masters in Special Education from Assumption College. She is married and has five children. Aside from spending time with her family, she loves supporting my alma mater by attending the University of Notre Dame athletic events. Find Meeghan on Pinterest, Facebook, Twitter, Google+ or her website.